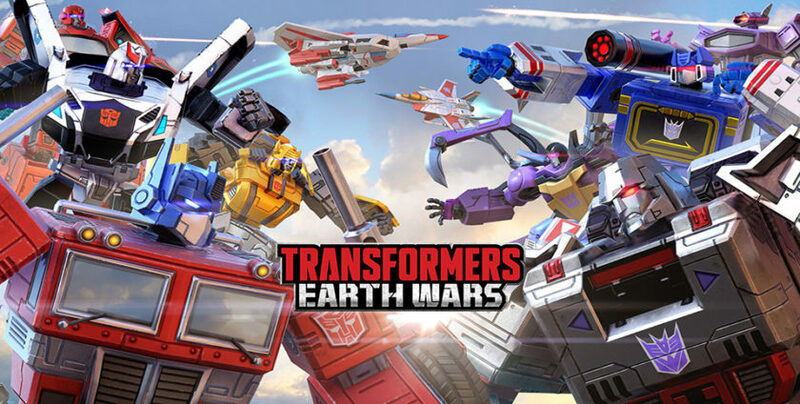 There are lots of Transformers games, but Backflip Studios has taken steps to make sure Transformers: Earth Wars stands out, and it does. At its core this is a base building and resource management game, but the payoff is all your favorite Autobots and Decepticons are here, and it’s a nice blend of action and strategy. When the game starts you have to choose a side, and if you’re a Transformers fan you’ll notice the design is a mixture of Generation 1 and Fall of Cybertron. Each robot is richly detailed and they level up as you play. Aside from the major characters like Optimum Prime, Megatron, Starscream and Grimlock, you can use crystals to make new ones. As you build bases and play on you’re able to unlock more characters. You can check out the ones you have in a hangar and tap to initiate transformation into vehicle mode. Building bases and managing resources take time, but you can speed things up under 5 minutes, and you can use Cyber Coins to expedite tasks. You also get Build Bots so you’re able to build more bases at the same time, which is a nice feature. Play Transformers: Earth Wars and you’ll get Cyber Coins for free, and you also gain them by upgrading your structures, collecting Energon and upgrading your Transformers following huge victories. Speaking of battles, you can compete against other players or follow the story, so it’s an easy game to get into.